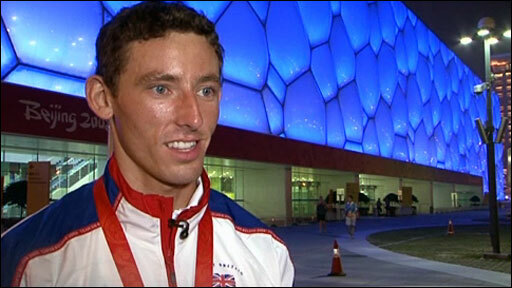 David Florence secured Britain's first silver medal in Beijing with a perfect run in the Olympic men's slalom canoe. The Scot started the day fourth but his time of 178.61 seconds moved him into the lead above Poland's Krzystof Bieryt and Czech Stanislav Jezek. But last-man-down and world number one Michal Martikan of Slovakia went almost two seconds faster to clinch gold. 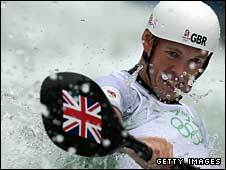 Elsewhere, Britain's European champion Campbell Walsh failed to qualify for the men's kayak slalom final. The result means Florence, 26, from Aberdeen, becomes Britain's first slalom canoeing medallist since Gareth Marriott won silver at Barcelona in 1992 and his triumph is the fourth medal overall for Team GB in Beijing. "I am absolutely delighted that I put in a good final run in the pressure of a big final, it is the most exciting time to do it," said Florence. It was eventual bronze-medallist Robin Bell of Australia who set the early pace of the final run, with a time of 180.59 secs. But Florence was undeterred and put together a faultless flying run. The time put him in the lead and with three competitors left to race in the water, Florence had to wait to see if his time would be good enough for a medal. Bieryt of Poland was next down but his challenge rapidly eroded in the waves as he went through the first split 2.51 seconds behind Florence's. Things went from bad to worse for the Pole who had to struggle back upstream to register a missed gate. The bronze was now assured for Florence with this but with Jezek of the Czech Republic also failing to beat the Briton's time with a poor run, gold seemed a real possibility with one competitor left to paddle. Pity for the Briton then that it was world champion Martikan, whose imperious speed meant that even with a two-second penalty he took gold with a time of 176.65 secs. "I would have loved the gold but I ended up with silver. A medal is what I have been after for the last four years." 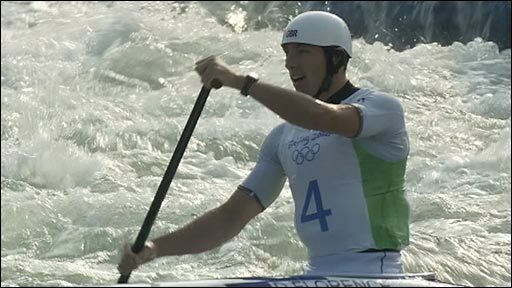 Elsewhere, it proved tough day in the white water for Campbell Walsh, the current European champion and Athens silver medallist in the men's kayak slalom. The 30-year-old endured a nightmare run, posting a time of 93.74 secs to finish last in the 15-man semi-final field. The Glaswegian was 7.66 secs behind winner Benjamin Boukpeti from Togo and 2.77 secs adrift of 10th, the last qualification place, which was claimed by Ireland's Eoin Rheinisch. The result was a huge disappointment for Walsh, who finished fourth in this year's World Cup series and considered a major contender.